One cold weekend a few months ago Nia and I drove out to a nearby town to shoot a photo shoot for the magazine Chop Chop. I posted a quick teaser on Instagram then nearly forgot about it until a hefty box with plenty of copies of the Summer issue recently landed on our doorstep! I'm so proud of my Nia! There are five pictures of her included in the latest issue, and if your little ones like to cook definitely head to their website and check it out. 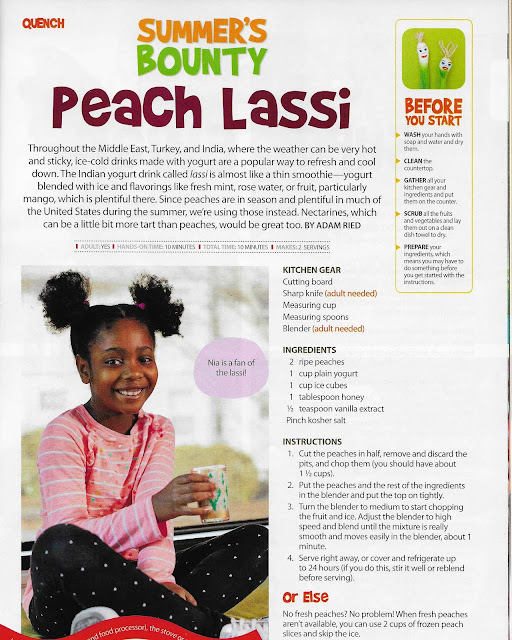 We get hard copies of the magazine at our pediatrician's office so check there as well if you'd like a copy! 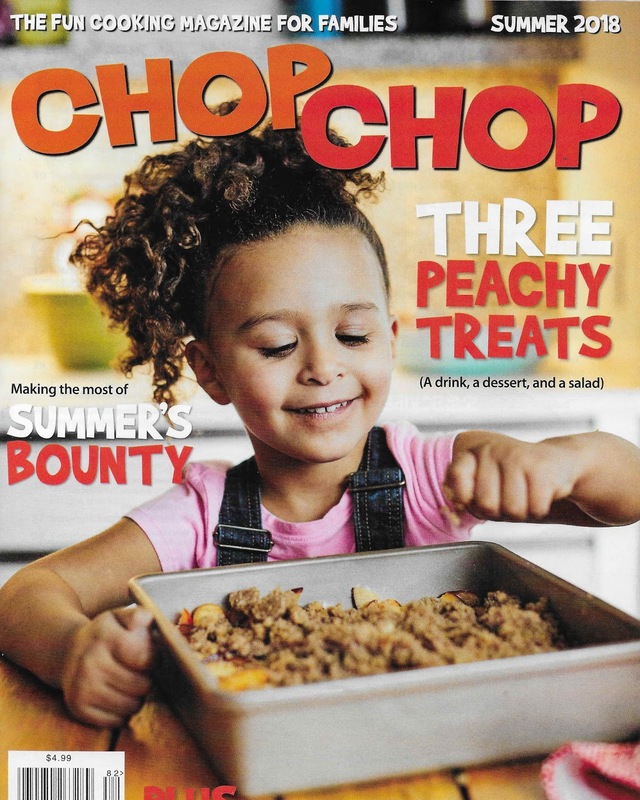 I can attest that the recipes are delicious - the Corny Tomato Pasta Salad that Nia made in the issue was AMAZING and we're excited to make it at home! I'm thankful our real estate agent suggested living in the house for a bit before undertaking any big projects, and it's become evident that YES! 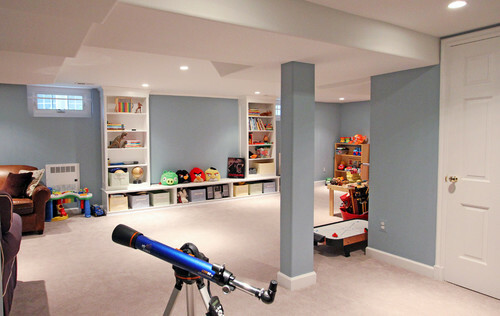 We need the kids toys to be stored in the basement. Thankfully it's an open floor plan, and we're leaving one side closed off unfinished for storage, but the kids will have about 500 sq. ft. including a side of the room that will be a mini-home theater. This is HUGE! Living in a state that has the lowest gun deaths it's easy to take it for granted how tight our common sense gun laws are, but there's always room for improvement. As the Boston Community Outreach Lead for Moms Demand Action I'm thrilled to be a part of a movement working to #endgunviolence. You can check out the full story here. Remaining 2018 Travel is Set! I'm excited to head to Martha's Vineyard with Uka then NYC 2x: once with the kids and once solo, followed by Las Vegas for my birthday weekend (and Life is Beautiful, remember when Uka and I went the inaugural year?) then Charleston, SC for my sister's wedding. 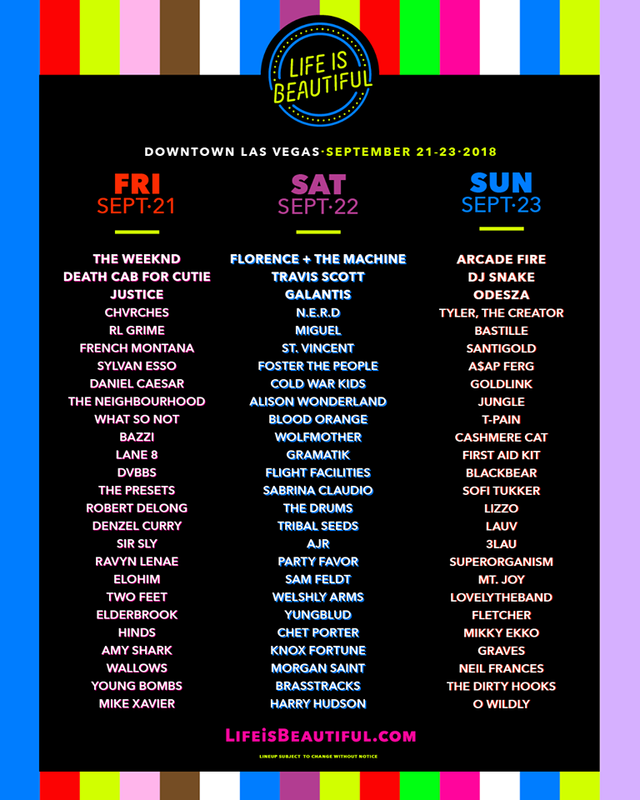 I'm most excited to finally return to Life is Beautiful - we got a one day ticket the day of my birthday on September 22 and the line-up looks AMAZING! We'll be in Vegas with few other couples renting an epic house together. I. Can't. Wait. After speaking in Palm Springs at Altitude Summit then in Pasadena at Mom 2.0 I'm thrilled to have two local opportunities here in Boston metro to speak: at my alma mater, Wellesley College during reunion on Sunday, June 10 regarding racial equality and social activism then again on June 20 at General Assembly on my career as an influencer. If you're local and want to attend the June 20 event be sure to follow General Assembly Boston's Facebook Page as well as my social media feeds - I'll come back to update with a dedicated post here on the blog as well once details are released. That's what's going on for now. It's an exciting time and I'm looking forward to all the fun that summer has to offer. I'm thankful for this Memorial Day weekend as it's a quiet one that's much needed! Are your kids out of school already? Any fun summer plans ahead?